Nashville Predators rookie defenseman Seth Jones was one of four Portland Winterhawks players selected at the 2013 NHL Draft at Prudential Center in Newark, N.J. The Winterhawks and Kelowna Rockets actually shared the Western Hockey League lead for having the most players drafted last June with four. Since 1969, Portland is the WHL's all-time draft leader with 126 players selected at the draft. At the 2013 draft, the WHL saw 33 players selected, eight of whom were taken in the first round. This year, eight of the top 30 North American skaters on NHL Central Scouting's midterm rankings are from the WHL, and 13 of the 40 players invited to the BMO CHL/NHL Top Prospects Game in Calgary on Jan. 15 were also from the league. It is traditionally considered the league of defensemen, but this year two forwards were listed among the top four on NHL Central Scouting's midterm list: No. 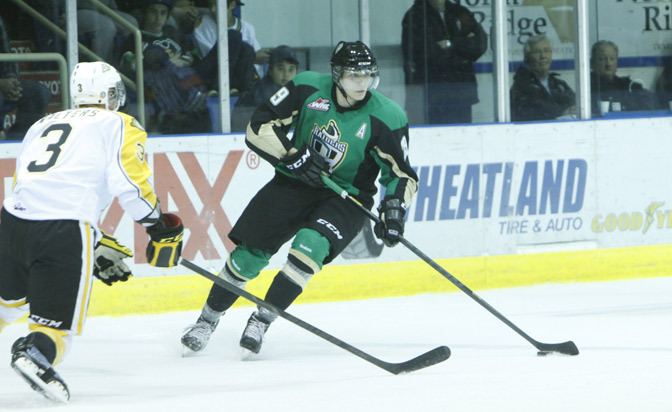 2 Leon Draisaitl of the Prince Albert Raiders and No. 4 Sam Reinhart of the Kootenay Ice. Each was named a First Team All-Star of the WHL's Eastern Conference. The WHL and Ontario Hockey League each has three players among the 20 on Central's midterm list who are defenders. This week, Prospector Files continues its First Team draft-eligible pick six series at each position with a focus on the WHL. The Ontario Hockey League, Quebec Major Junior Hockey League and United States Hockey League have already been featured. The international standouts will be published next week. Here are the top players at each position from the WHL eligible for the 2014 NHL Draft. The 6-foot-1.75, 208-pound center finished in a tie with Sam Reinhart for fourth place in the league scoring race with 105 points (38 goals, 67 assists) in 64 regular-season games. Draisaitl was a pleasant surprise for the Raiders as a rookie in 2012-13, when he had 21 goals and 58 points in 64 games. Some believe the crafty German will be the first player from the WHL off the draft board in June. "Leon plays a big power forward-style game," Central Scouting's B.J. MacDonald said. "He goes to the net, and the opposition has a hard time stopping him from getting there. He's a big presence in front of goal and skates well with deceptive speed. He can shoot the puck and overpower goalies with it. I like his style and attitude." Sam Reinhart, the highly touted center for the Kootenay Ice, is a 6-foot-0.75, 185-pound right-handed shot with great hockey pedigree. 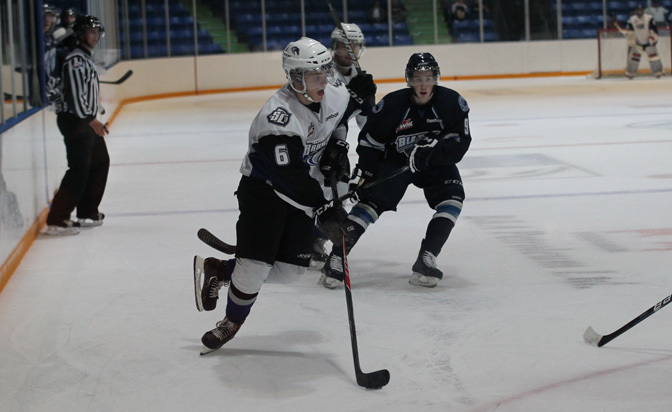 He was named a First Team All-Star in the WHL's Eastern Conference and also won the Brad Hornung Trophy as the "Most Sportsmanlike Player of the Year" in the conference. Reinhart finished in a tie for fourth among the league scoring leaders with 105 points (36 goals, 69 assists) in the regular season. Now in his third full season with the Ice, Reinhart has 101 goals, 153 assists, 254 points and a plus-52 rating in 203 career games. He's the brother of forward Max Reinhart, chosen by the Calgary Flames in the third round (No. 63) of the 2010 draft, and defenseman Griffin Reinhart, selected fourth by the New York Islanders in 2012. His father, Paul Reinhart, was chosen No. 12 by the Atlanta Flames in 1979. "Sam is extremely responsible in any area of the ice," MacDonald said. "He has exceptional anticipation and is a very good opportunist, having the ability to make something out of nothing. He can dish the puck effortlessly to both sides and has very high hockey IQ, is sneaky good and dangerous every shift." The No. 9-rated skater on Central Scouting's midterm list had the highest overall grade from the on-ice testing that was performed Jan. 14 at Scotiabank Saddledome in Calgary one day before the BMO CHL/NHL Top Prospects Game. Among the highlights for Virtanen were his top times in the 30-meter forward sprint (3.92 seconds) and the 30-meter backward sprint (4.55 seconds). "He's got a complete, all-around pro game right now," Central Scouting's Peter Sullivan said. "He's tough to play against, makes things happen on the ice. When you're out there with him, better have your head up because he could put you through the wall. He's got that package of high-end skill that doesn't come along too often; he's like a Jarome Iginla type of player who can do everything." Virtanen finished first on the Hitmen in goals (45) and third in points (71). He was also second with 100 penalty minutes and two shorthanded goals. The 6-foot-0.75, 208-pound right-hander has 64 goals and 109 points in 142 regular-season games spanning two-plus seasons with Calgary. The 5-foot-10.5, 178-pound right-handed shot had quite the impact as a rookie with the Broncos, scoring 16 goals (eight power-play goals) and 56 points in 62 games. He also had a plus-10 rating and likes to be engaged physically, as evidenced by his 52 penalty minutes. Honka played the role of fifth or sixth defenseman for gold medal-winning Finland at the 2014 IIHF World Junior Championship in Malmo, Sweden, in January. He was paired mostly with Mikko Vainonen (Nashville Predators) to form a pretty solid unit. He had one assist, a plus-1 rating and nine shots on goal in seven tournament games. NHL Director of European Scouting Goran Stubb refers to Honka as a "Reijo Ruotsalainen copy." Ruotsalainen played seven seasons in the NHL and won the Stanley Cup with the Edmonton Oilers in 1987 and 1990. He also was named best defenseman when Finland won a silver medal at the 1980 WJC. In his second full season in the WHL, the 6-foot-2.5, 198-pound left-hander is No. 6 on Central Scouting's midterm list and is the second-rated defenseman behind Barrie Colts blueliner and No. 3-rated Aaron Ekblad. An alternate captain with the Rebels, he has eight goals, 46 points and a plus-15 rating in 70 regular-season games. Fleury also has four power-play goals and 46 penalty minutes. "I compare him to a Jay Bouwmeester type since he makes it look so easy in your own end," Sullivan said. "He can carry it out or, with one pass, you're on the transition, and that's what makes him so effective. His point might not be as high as some of the other defensemen on the board, but he just does so many other things well." Edmonds was the top-ranked goaltender at the on-ice testing Jan. 14 for those players invited to participate at the BMO CHL/NHL Top Prospects Game. The goalies took part in specialized reaction, agility and movement challenges Sport Testing designed along with Boston Bruins goaltending coach Bob Essensa. The WHL rookie, who was No. 8 on Central Scouting's midterm list of the top draft-eligible North American goalies, was 19-19-6 with a 3.85 goals-against average and .887 save percentage in 55 games for Prince George. "He's a mid- to late-round draft pick," Central Scouting's Al Jensen said. "He's battled and worked hard, is a positional-style goalie, and was very strong in his crease during my viewings. He challenged well and has decent overall quickness. His great work ethic and instincts will definitely help him improve." One might say that at 6-foot-4 and 239 pounds, Robert McGovern of Thayer Academy in Massachusetts would be better suited on the gridiron than an ice rink. Though McGovern has always enjoyed ice hockey, he did play football for two seasons at Thayer, as a sophomore and junior. He acknowledged that there was a learning curve, but he picked it up rather quickly and by his second year was the varsity team’s starting right tackle. "I was getting some serious interest from Division I schools for football, so I had to make the choice between football and hockey," McGovern said. "At the end of my junior year, I chose to pursue hockey and had to give up football." NHL scouts are finding out that he isn't too bad at that either. McGovern was the starting goalie at Thayer this season and actually opened some eyes with an impressive display at the recently concluded Beantown Classic. "I always enjoy tournaments like that because it's the best players around, and you are playing against your teammates and friends," McGovern said. "I think I represented myself well. I competed hard and did everything I could to try and help the team win." McGovern, who had a 2.44 goals-against average and .910 save percentage in 25 games for Thayer in 2013-14, remains undecided about his future. He has no college commitments and has not signed with a junior hockey team. He is, however, No. 25 on NHL Central Scouting's list of the top North American goalies eligible for the 2014 NHL Draft. "The thing I enjoy the most about being a goalie is having all the pressure on you," he said. "I enjoy that even if you made 50 saves but lost 2-1, it still counts as a loss and you still feel the same way about it. It still hurts when you go into the locker room and know that you let in the winning goal. It's the ultimate pressure cooker, and I wouldn't want it any other way." 1. Michael Amadio, North Bay Battalion (OHL): Amadio, a 6-foot-1, 190-pound right-handed center, established career highs for goals (12), assists (26), points (38) and plus-minus (plus-15) in 64 games in his second season. He's No. 56 on Central Scouting's midterm report. "Michael uses his size very well, wins battles and separates opponents from the puck," Central Scouting's Chris Edwards said. "He protects the puck very well and can fight through checks. Most of his points will come from hard work and second effort." 2. Blake Siebenaler, Niagara IceDogs (OHL): The 6-foot-0.5, 192-pound right-handed defenseman is No. 47 on NHL Central Scouting's midterm rankings of the top North American players eligible for the 2014 NHL Draft. Siebenaler, born in Fort Wayne, Ind., had six goals and 30 points in 68 games for the IceDogs. "Blake has been improving with every game this season," Edwards said. "He has been moved up to the second defense pair and has been a steady and contestant player. He skates very well, has excellent mobility, and has a hard accurate shot; he's been very effective on the power play." 3. Riley Stadel, Kelowna Rockets (WHL): In 63 regular-season games for the Rockets, the defenseman had 10 goals, 35 points, a plus-12 rating and 62 penalty minutes. The 5-foot-9.5, 166-pound left-hander is No. 58 on Central Scouting's midterm list.